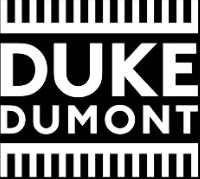 Cream recently announced the return of Grammy nominated producer Duke Dumont for a one off show at KOKO in London on Wednesday 30 September. The Blasé Boys Club kingpin will be joined by a collective of like-minded artists from his label and celebrating what has been an incredible journey over the last couple of years. With the ubiquitous nature of house music in today’s chart landscape, it’s easy to forget that when his breakthrough single ‘Need U 100%’ soared to number 1 in 2013, it became the first UK house track to do so in over a decade, reaching Gold certification, and opening a gap in the British music consciousness for deep house to prosper on a new scale. Dumont repeated that success nine months later with his next single, ‘I Got U’, that, again, topped the UK singles chart. When his third big single ‘Won’t Look Back’ rose to number 2, whilst topping the Billboard Hot Dance Club Songs chart, Dumont’s name as a top ten producer was probably cemented. The pre-sale for tickets is on now, with the general tickets on sale 10am Tuesday 11th August.